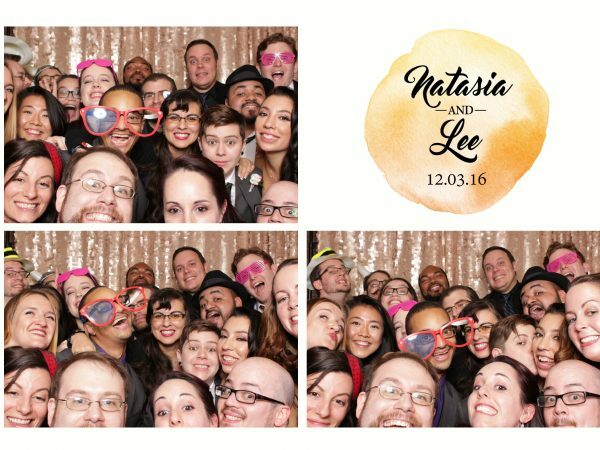 Have van and will travel… No it’s not a man-and –a-van moving company advertisement, it’s our amazing team of photo booth attendants traveling to venues in New York, NJ and beyond! No matter where your wedding day is taking place our modern open air kiosk is the perfect choice for your reception fun. 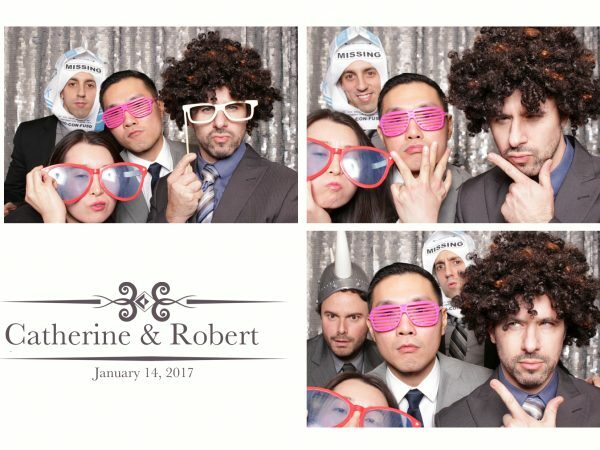 We bring all the fun props from romantic signs “Dreams do come true” to flirty suggestions “I’m here for the Beer” your guests are sure to have fun with our photo booth. 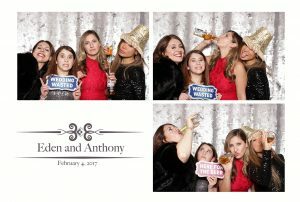 This fun wedding reception took place at Eden & Anthony’s big day at the W Hoboken. 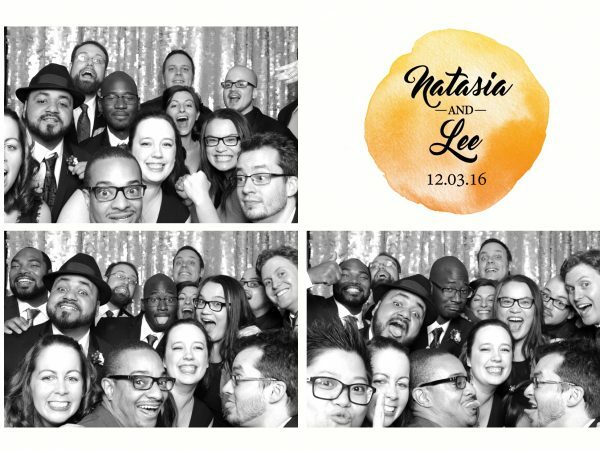 The happy couple chose the silver backdrop and classic grey monogram for their unlimited printing!